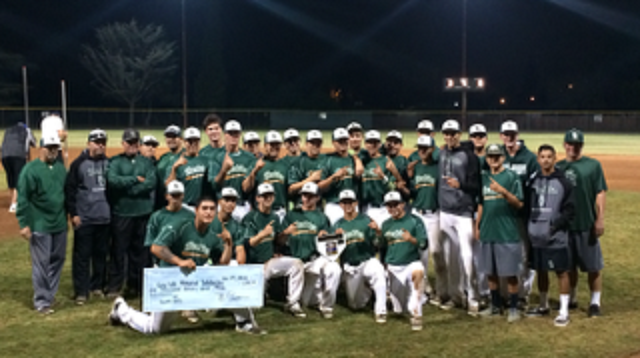 South Hills continued its recent dominance of the Cory Lidle Memorial Baseball Tournament last week. Frank Martinez hit two home runs and earned tournament MVP as the Huskies went 6-0, including a 3-2 win over Alta Loma in the championship game. South Hills, also keyed by senior Jacob Ramos with two wins and three saves, won the tournament for the second consecutive season and scored its third win overall. The charitable tournament was started in 2006 by local baseball coaches Darren Murphy and Tom Quinley. Lidle was a former star at South Hills who played Major League Baseball. He was killed in a plane crash in 2006. Pomona at Paraclete, 7:30 p.m. 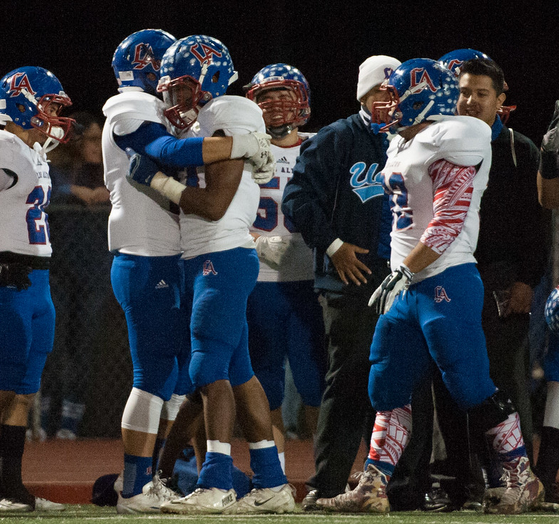 Colony at Los Altos, 7:30 p.m.
Los Altos going for 12th championship: The Los Altos football team has officially shed its third-place moniker. 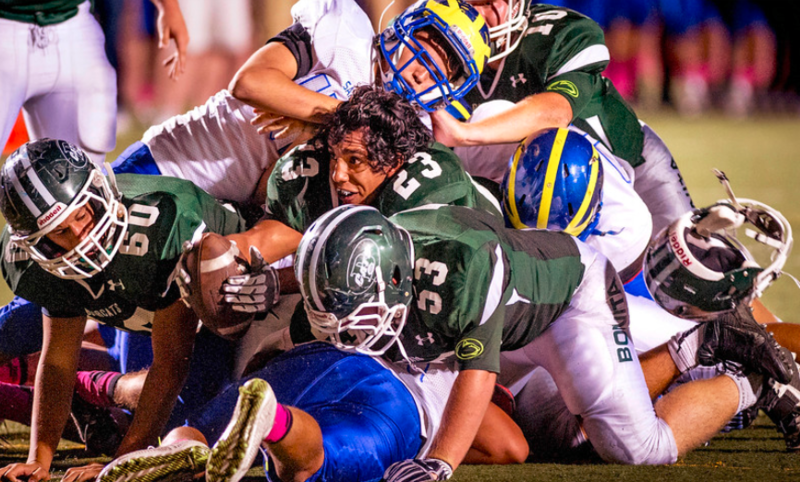 The third-place team from the Hacienda League can finish no worse than second — in the CIF-SS Central Division. Tyler Nevens, who ran for 296 yards, sealed Los Altos’ 27-13 win over Bonita on Friday night with his second touchdown of the game on fourth down from the 1-yard line with seven minutes to play. Bishop Amat’s miracle rally falls short: Bishop Amat’s last minute miracle comeback fell short, crushing the Lancers’ dream of playing for their first championship since 1995 in a 38-37 loss at Corona Centennial on Friday. Centennial’s near self-destruction allowed for a crazy finish after running back Sammonte Bonner fumbled a game-clinching touchdown run inches from the end zone, allowing the Lancers to get it back with just over a minute left at their own 3. Bishop Amat quarterback Ryder Ruiz, who finished with 411 yards and three touchdowns, engineered a 97-yard scoring drive in the final minute, connecting with Brandon Arconado on a 42-yard touchdown pass with 32 seconds left. Pomona in first championship since 1928: To say it’s been a long time since the Pomona High School football team has been in a championship game, is saying that it’s been a while since the Chicago Cubs have won a World Series. That day is finally here as Pomona defeated visiting Sierra Canyon of Chatsworth, 33-20, in the CIF-Southern Section Mid-Valley Division semifinals Friday night. Third-ranked Pomona (9-4) will play Paraclete (10-3), a 15-12 winner over Northview in the other semifinal game, Friday at Antelope Valley College. It’s been 86 years since the Red Devils have been in a title game, losing to Covina 7-0 in 1928. The Red Devils were also in the CIF championship game 11 years earlier, losing to Manuel Arts, 27-0. Colony knocks out Charter Oak: The dream season of the Colony High School football team lives on. 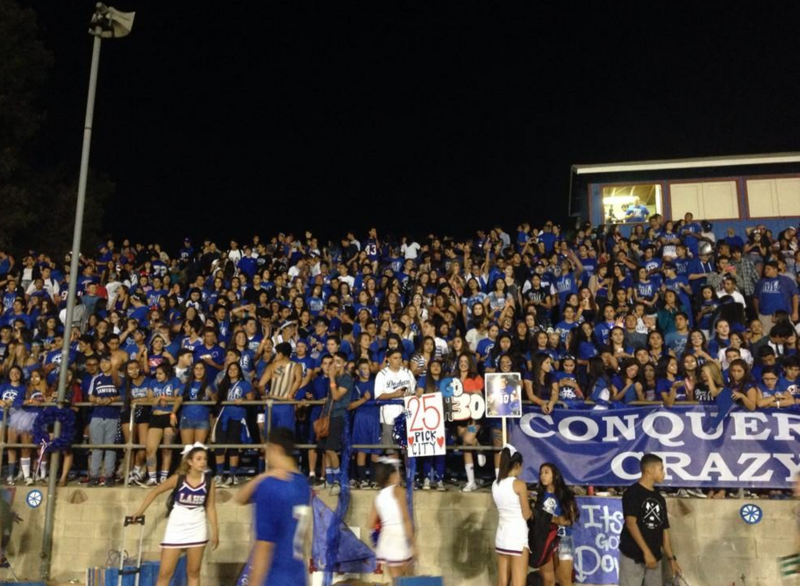 The Titans parlayed eight Charter Oak turnovers into a 35-26 victory on Friday night in the semifinals of the CIF Southern Section Central Division playoffs. Colony improved to 11-2 and will play Los Altos in next Saturday’s championship game. Charter Oak finished 8-5. All of Charter Oak’s turnovers certainly helped Colony, but Khalil Dorsey made sure the Chargers paid dearly for their seventh. With Colony leading 29-26 and Charter Oak at the Titans’ 38 with 3:01 to left to play, Dorsey stepped in front of a pass to the flats by Charter Oak quarterback Kam Brown. Dorsey intercepted the ball and returned it 65 yards for the icing score. Northview nearly knocks off No. 1 Paraclete: Northview’s dream season came to an end after a tough 15-12 loss to top-seeded Paraclete (10-3), which will go to its fifth consecutive CIF-SS Mid-Valley Division championship game. The Spirits took their first and only lead with 2:33 left in the game on an 8-yard run by Ethan Clark. Their two-point conversion was good, setting the stage for one last attempt by Northview (11-2) trailing by three. The Vikings drove to midfield, but when freshman quarterback Steven Comstock’s fourth-and-2 pass fell incomplete with 29 seconds left, the game and chance to play for the title was sealed for the Spirits. 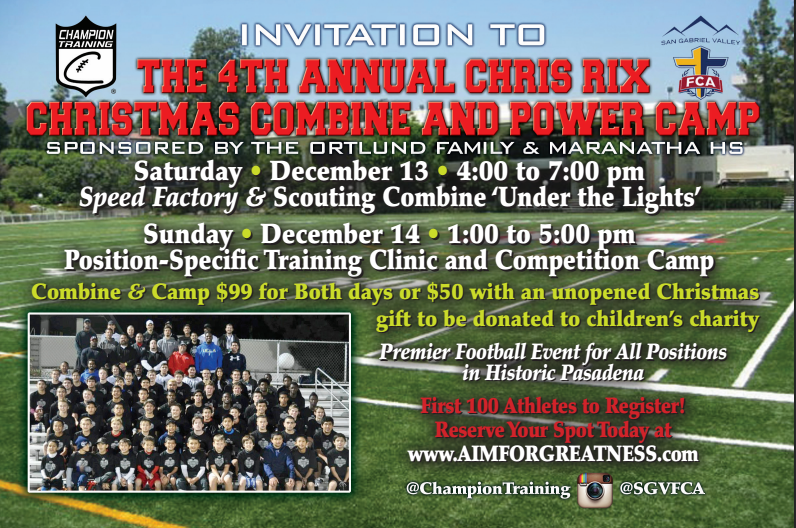 Saturday’s championship: Centennial vs. St. John Bosco, Angels Stadium, 8 p.m.
Saturday’s championship: Colony at Los Altos, 7:30 p.m.
Friday’s championship: Pomona at Paraclete, 7:30 p.m.
Friday’s championship: Crescenta Valley at Downey, 7:30 p.m. In this day and age, teams that typically compete for a CIF-Southern Section Pac-5 Division championship, the most coveted and competitive division in Southern California, are usually loaded with big-time transfers and several others supported by tuition assistance. Bishop Amat, who advanced to the Pac-5 semifinals with a 24-17 win over second-seed JSerra and will travel to the Inland Empire to take on third-seed Corona Centennial on Friday at 7:30 p.m., is not a school known to operate that way. 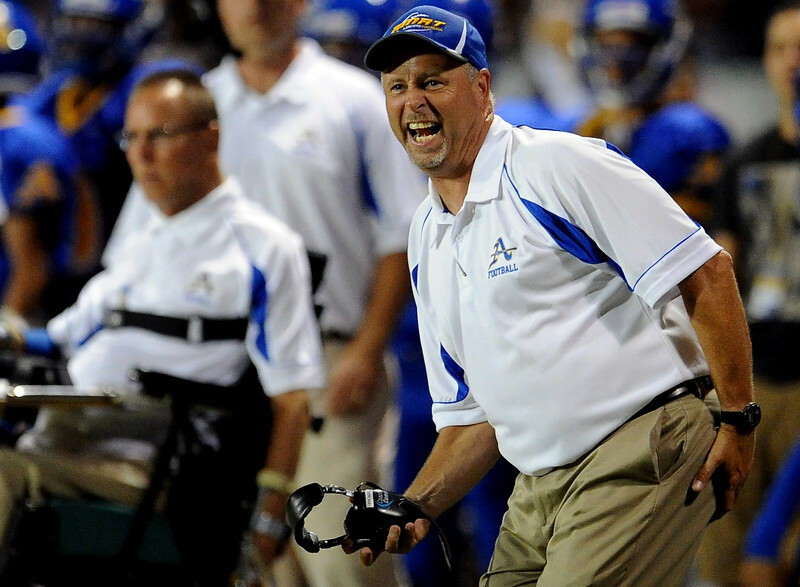 Bishop Amat is making its first trip to the semifinals since 1998 and hoping to cash in on its first championship since 1995. Maybe the long drought has something to do with a school that doesn’t hand out financial assistance like they’re giving out college scholarships. That’s not to say Bishop Amat doesn’t hand out financial assistance, but it hasn’t used it as a tool to attract whoever it wants. And since coach Steve Hagerty took over in 2008, the school hasn’t had a significant game-changing transfer that’s made a difference. In fact, more impact players have transferred out than transferred in during Hagerty’s tenure. Angel Verdugo is thankful for one thing in particular this Thanksgiving: a second chance. Verdugo, the Bonita High School football team’s star running back was almost the latest chapter in the sad ongoing story about talented players whose off-the-field problems keep them from ever realizing their on-field potential.